So the above title has everything to do with the colours I’m featuring on my face and nothing to do with the fact that i’m lonely on valentines day AGAIN anything else. The normal “rule” is that one shouldn’t wear a loud lip and eye at the same time, however I say screw the rules! It’s all to do with subtlety and getting the right balance of colours and shades. I’ve been wearing a lot of muted purples and plums recently and so I thought I’d try something different use some plum eye shadow too. Because I have hooded eyelids, I have to be very careful when applying eye shadow as it’s so easy to overdo it; my eye crease is extremely low so a lot of the time, I actually end up using my fingers to blend for more accuracy. 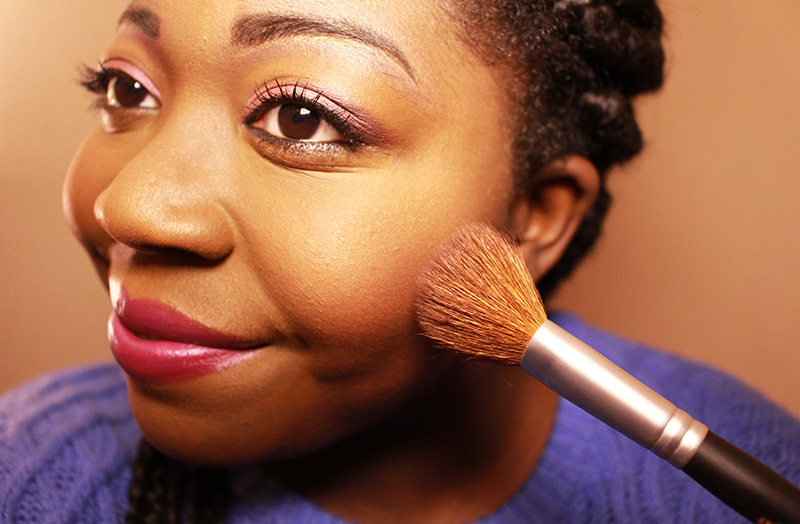 I first used a small shadow brush to apply MAC’s Plum Dressing to the majority of my eyelid, right down to the end. I then used Carbon to fan out the edges of my eyes. 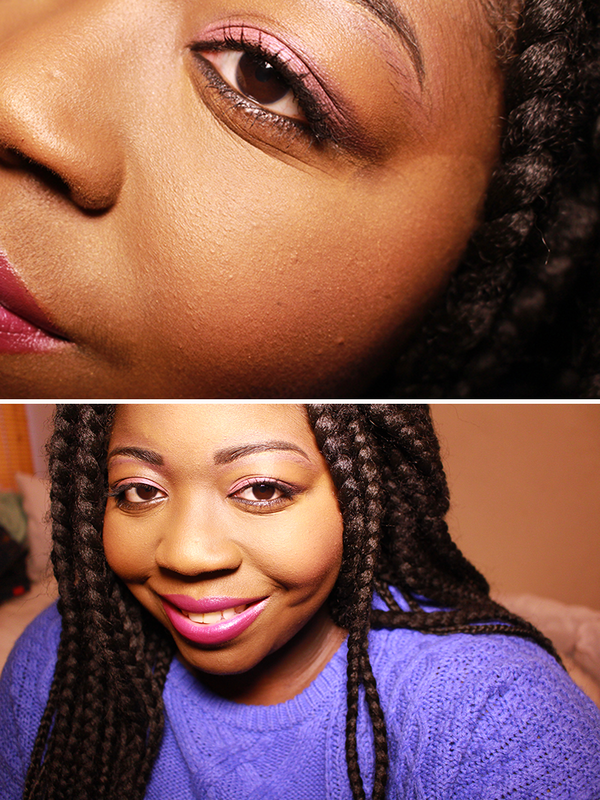 I tried to blend the black into the plum so it looked almost ombre. 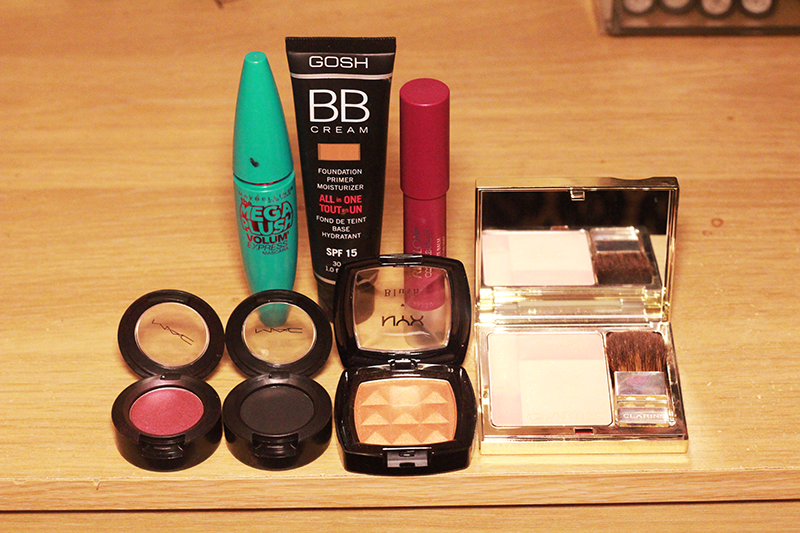 On the days where I can’t be arsed to do the whole foundation thing, I apply my trusty BB Cream from GOSH which acts as both moisturiser and light foundation. I find it covers up my face pretty well, for a gorgeous, flawless finish. I used NYX’s Sand blush to highlight my “cheekbones”, and Clarins Blush Prodige Illuminating Blush in Soft Peach for a bit of colour. 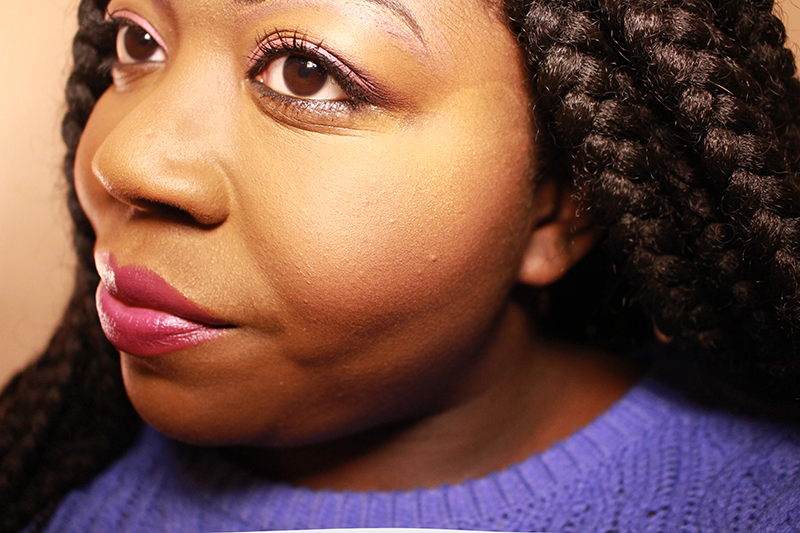 Finally, I applied Shameless from Revlon’s Matte Balm collection which is a gorgeous deep plum. You guys got anything planned for V.Day?! Previous Post Review | Anna Scholz for Simply Be.